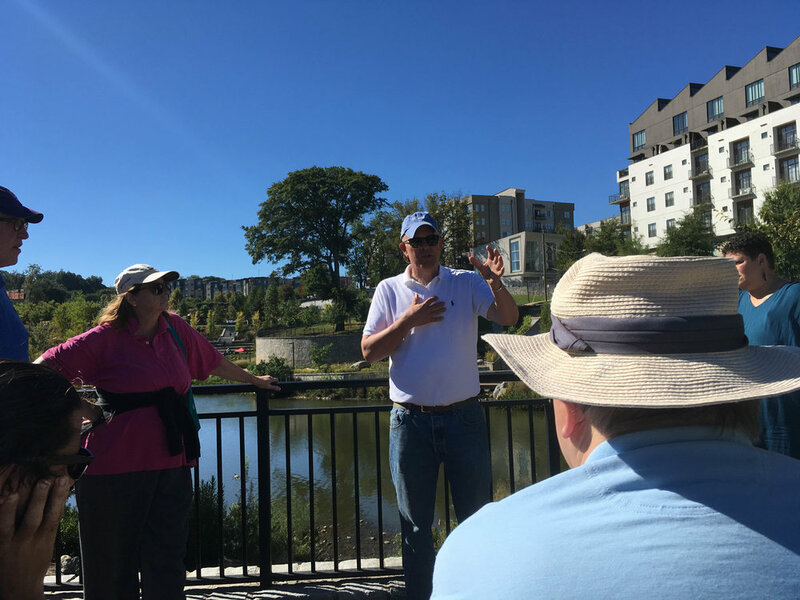 I was in Historic Fourth Ward Park for the Ecology of the Urban Forest: Historic Fourth Ward Park Walking Tour by Trees Atlanta. 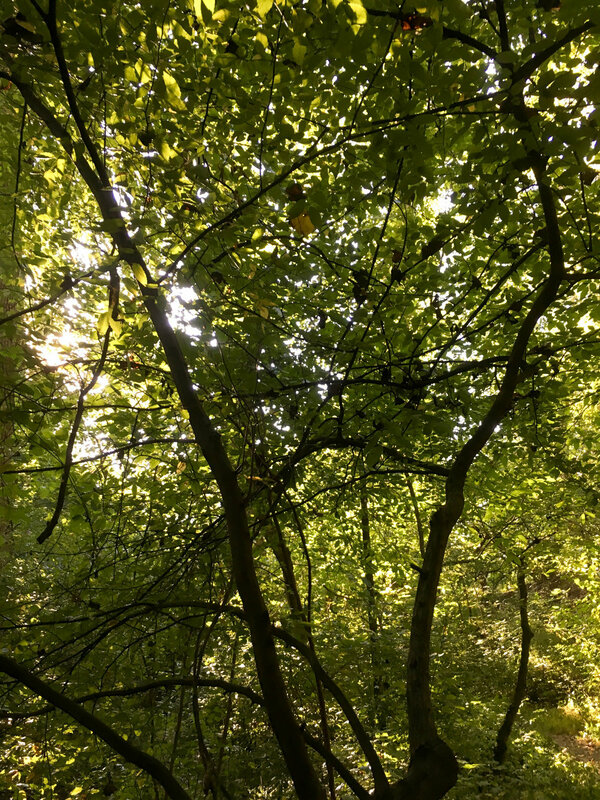 As well as learning about trees and shrubs (this was a Trees Atlanta talk, after all), we also were taught a lot about the park's history and the history of the surrounding area. “This is a great park! Why did they put it in a hole?" is a question BeltLine landscape architect Kevin Burke says people often ask about Historic Fourth Ward Park. 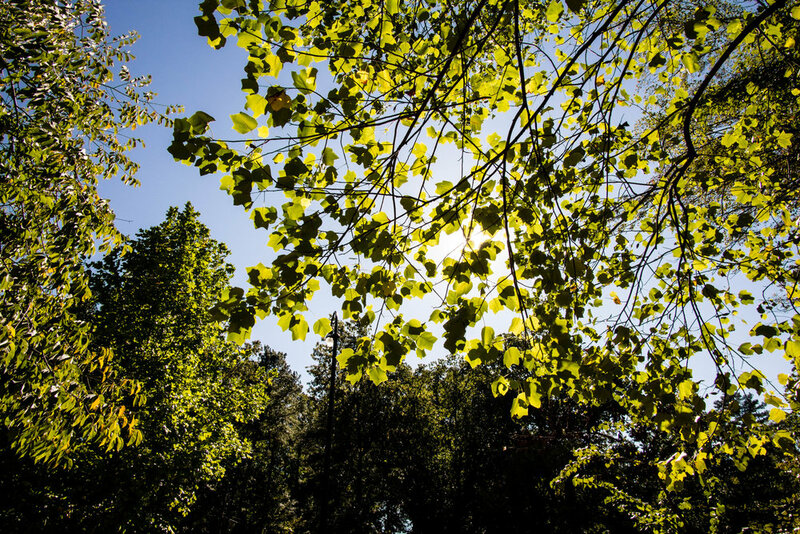 The reality is that the park is a great example of “green infrastructure", preventing adjacent neighborhoods from flooding while also providing a place for nature, fitness, and events. Clear Creek (that's the one in Piedmont Park) used to run here, but long ago was put underground in Atlanta's sewer system that combines former creeks with runoff and sewage. There was a proposal to put in a huge pipe here to prevent flooding, but instead this park was proposed and the EPA accepted it. The addition of the park didn't require the neighborhood to be torn up like the construction of a pipe would have. 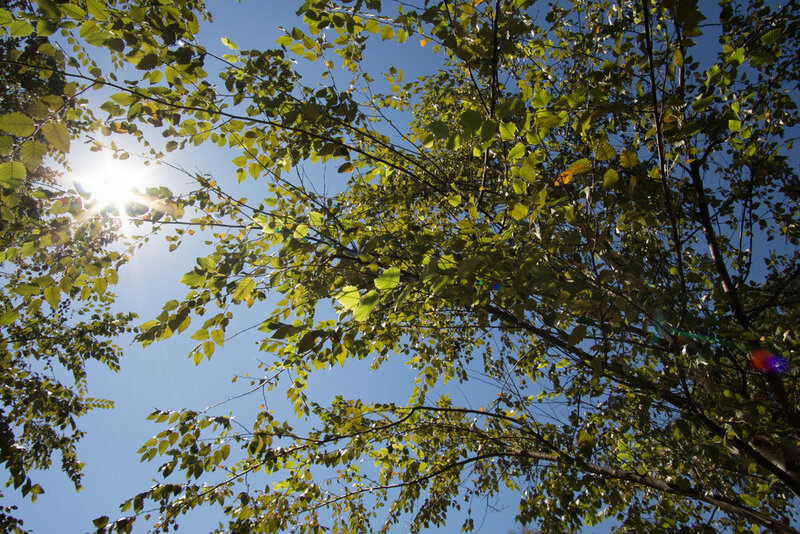 I recommend checking out both Historic Fourth Ward Park and Trees Atlanta's events. 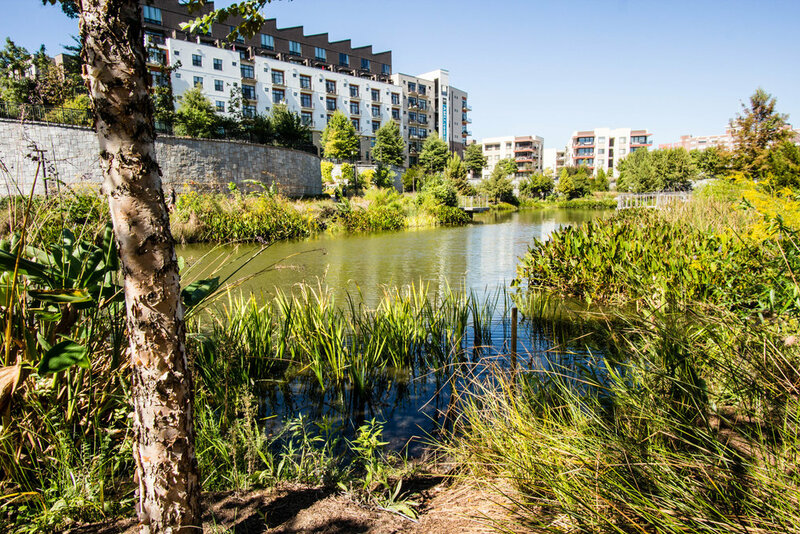 Historic Fourth Ward Park is accessible via the BeltLine, south of North Avenue. I hopped on the Stone Mountain PATH via an overpass and took it to S Ponce De Leon Ave which I followed until I reached Deepdene Park. There weren't a lot of people in Deepdene Park this Saturday afternoon. I took my time taking some photos for this site and just relaxing and enjoying the trees and other nature. 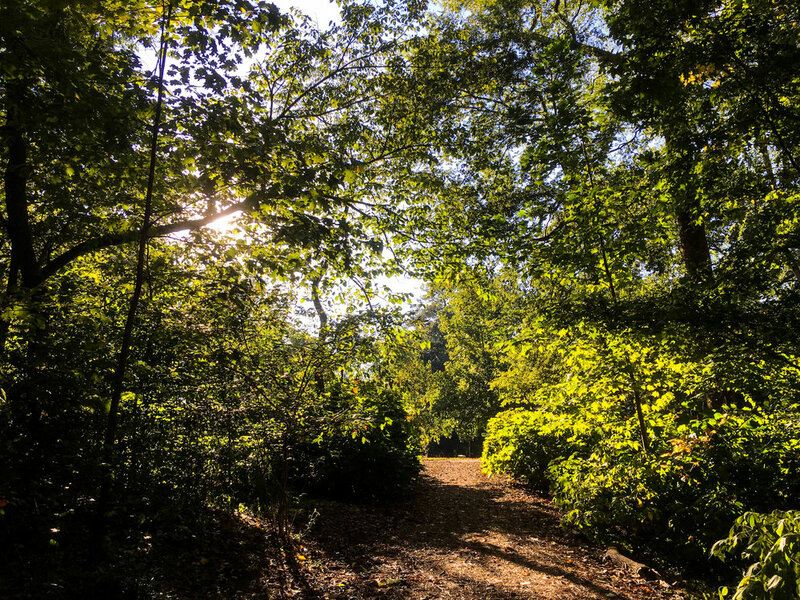 Learn more about Deepdene Park at my Olmsted Linear Park page. On my ride back, I decided to avoid Midtown because of the Pride Festival and take the PATH trail back to the new cycletrack on John Portman Blvd. I had only ridden a block or so of the cycletrack, so I figured I'd try it out. The transition from the multi-use PATH trail to the cycletrack was pretty straightforward and well-marked and easy to follow. John Portman is a very steep street, making it an odd choice for the cycletrack, but then again, several of the other east-west streets are just as steep. I took the cycletrack to Ted Turner and then took Ted Turner/Spring/West Peachtree back to Midtown. There was a lot of traffic downtown that I avoided via the cycletrack and then a good bit of traffic on Ted Turner with cars waiting to get on the connector. Past the connector, there was no traffic on the ride home.